How Far Apart Should Xtraflo Brackets Be Fixed? Why Choose Floplast's Xtraflo System? Need to install guttering on a barn, industrial unit or commercial building? Baffled by all the roof calculations and run-off rates? Not sure which one to choose? Then look no further, as the Floplast XtraFlo gutter system is exactly what you need and it has been specifically designed to be fitted to all of these types of buildings. The main attribute of XtraFlo Industrial Gutter is its vast capacity and flow rate. Let’s face it – if you have decided to install an industrial gutter system it is because you need a gutter that can cope with heavy rainfall from a large expanse of roof – and that is exactly what it does. Without drowning you in statistics, XtraFlo can cope with almost double the amount of rainwater flow that equivalent 150mm gutters can deal before it reaches full capacity – a startling 11.8 litres per second. If you aren’t technically minded, think of that as 20 pints of beer all being tipped into the gutter in one go! How is this possible? 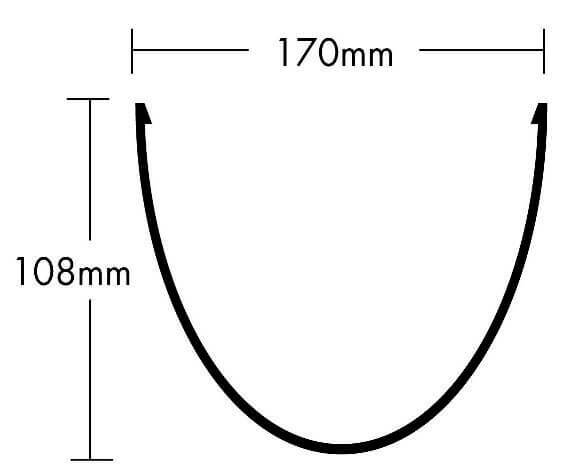 XtraFlo measures 170mm across the top section, whilst most others are only 150mm. Add to that the fact that the starting point when designing this gutter was a domestic Deepflow system, whereas most other industrial gutters are based on a traditional half round design. So not only is it a wider profile, it is far deeper than the equivalent commercial gutter systems on the market. The downpipe system for XtraFlo is 110mm – the same as soil pipe; it will easily cope with even the highest intensities of rainfall. Unusually, XtraFlo is available in three colour choices – Black, Grey and White. All three are popular and they offer flexibility of design when considering the aesthetics of a building – as the colour of the eaves and the pipework when contrasting or complementing the rest of the external colour scheme can have a big impact on the overall look of a building – and at Gutter Supplies we think even commercial buildings should look nice! As with all PVC Gutters, XtraFlo should be kept clean both inside and out. Externally, all that is required is a wipe over with a damp cloth once every six months to keep it looking smart. Internally, gutters should be cleaned out regularly to keep them free from leaves and debris build-up. Don’t make the mistake of thinking that because it is such a large gutter it won’t need clearing so often – debris build up in a gutter is proportionate to the size of the roof that it is fitted to. The larger the roof, the more leaves, moss, twigs and grit that collect in the gutter. The regularity with which you clean the system depends on the local environment – how many trees are in the surrounding area for example. As a minimum we would suggest that gutters should be cleared before the onset of winter, and then again in the spring.